Expo 2020 Dubai, in collaboration with the Ministry of Climate Change and Environment and the Ministry of Education, launched the ‘Sustainability Champions’ programme for all schools across the UAE aimed at leaving a lasting renewable energy legacy for the nation. Public and private schools have an opportunity to showcase how they are playing their part in ensuring a sustainable future in the UAE. Initially, two selected schools will benefit from the installation of photovoltaic panels by Expo 2020 and the support for the schools’ sustainability programmes. This is one of many initiatives Expo 2020 Dubai’s Youth Connect offers the UAE’s young people to ensure they are a core part of the journey to Expo 2020 and beyond. Other examples include the volunteers programme, Expo field trips and school roadshows. The Sustainability Champions programme was inspired in many ways by the achievements and values of the UAE’s founding father, late Sheikh Zayed bin Sultan Al Nahyan. Her Excellency Jameela Al Muhairi encouraged all schools in the UAE to take part and showcase their efforts in making their schools more sustainable, contributing to a national priority. She added: “Schools are becoming increasingly sustainable due to the Ministry’s efforts to put in place projects to gradually upgrade all of its school buildings in ways that make the learning environments more engaging, productive and innovative. 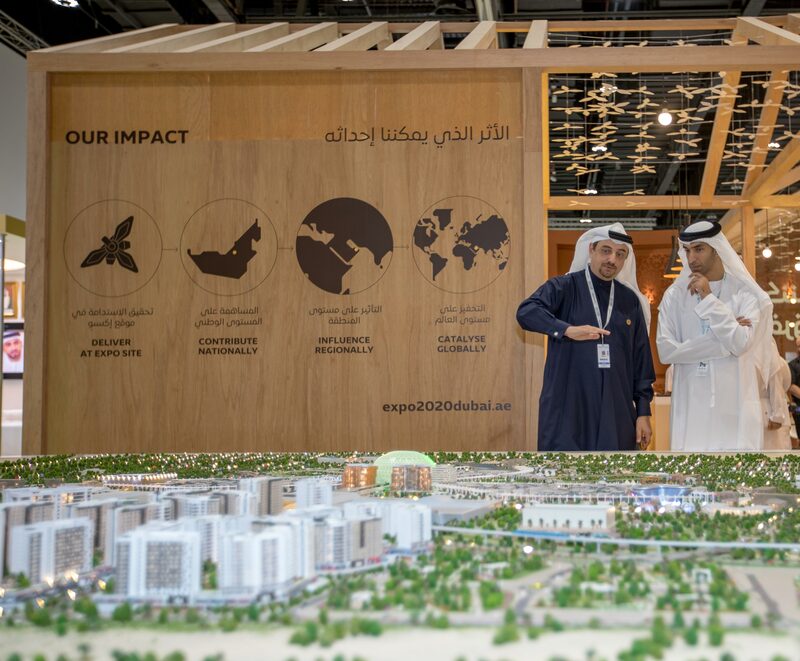 Najeeb Mohammed Al-Ali said: “Sustainability is a core pillar of the Year of Zayed, and it is also at the heart of Expo 2020 Dubai as one of our three key subthemes alongside Opportunity and Mobility. For us, sustainability is more than just conserving water and energy at the site; it is about making a tangible impact in the UAE and around the world by influencing and catalysing actions that take us a step closer to a sustainable future. It all starts with our nation’s youth.